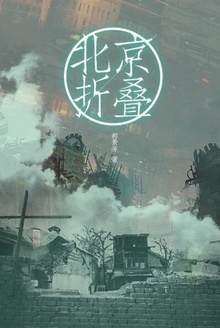 Folding Beijing is a simple story, yet it carries incredible depth by combing Chinese conventions within a futuristic scenario alongside a powerful message. Quarrels are made in an apartment flat, baijiu is served in a state of surveillance, chow mein alternates with autonomous cars, and a girl has to choose between romance and money. It’s poignant how Beijing is divided into three segments that decides life for its 80 citizens, and separates them — even physically — into the working, professional, and ruling class, in which ones birth determines ones future. This alone is an eerie parallel to today, where people are increasingly divided, and inhabiting different worlds within the same space — a parallel in which education, fresh air and nutritious food — and even sunlight — become luxuries, just like designer clothing and jewellery. Hao Jingfang’s writing, translated by Ken Liu, is poetic and clean, and carries a political message. It’s science-fictional, but it is the timelessness that gives this story its elegance. Link to the English version on Uncanny magazine.